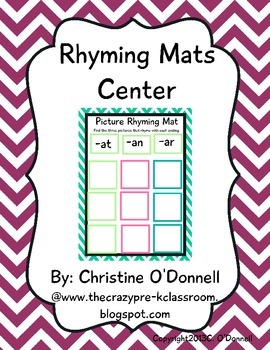 This Rhyming Mats Literacy Center is designed to help children match common objects to their rhyming pattern. 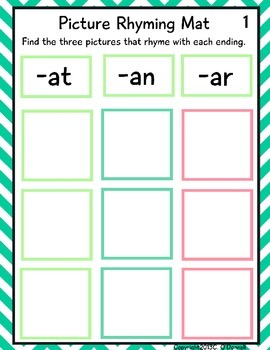 Each mat has three word families with space for three pictures. 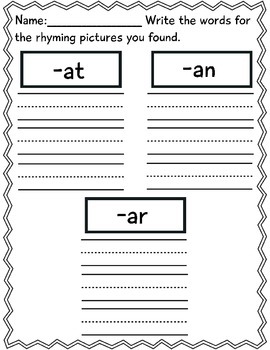 Once the mat is full of it's pictures the children can then write the rhyming words on the included recording sheets. 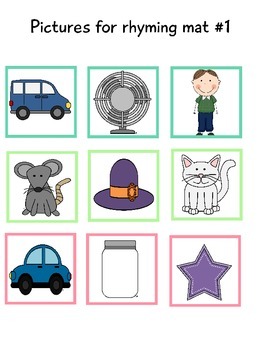 Please take a minute to follow me and visit my blog. Your feedback is always appreciated.